Early in the fall semester of 1850 a group of guys from the Class of 1852 sat around waiting for Professor of Greek William S. Tyler to show up for his class. At one point the small talk turned to the subject of shaving – what do you want to bet that one of them had cut himself that morning and was sporting a nice rip in his face? The others would have noticed it and teased him about it but they would all have had the same experience. 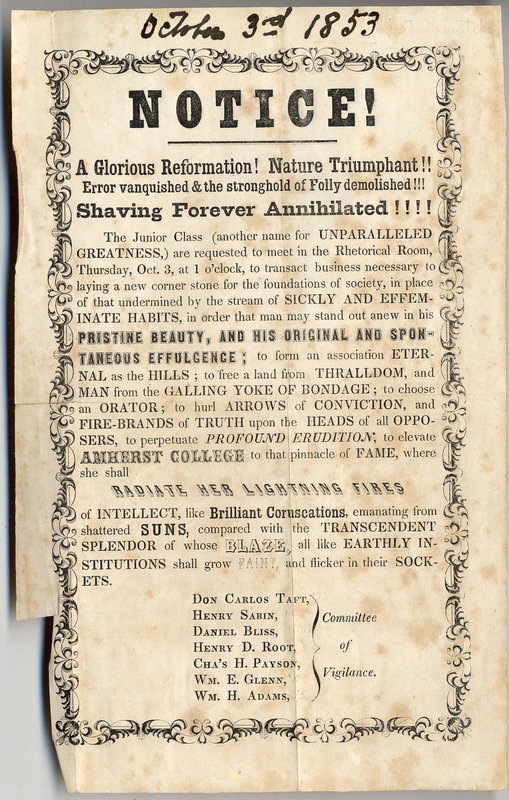 Back then, shaving was a real chore. 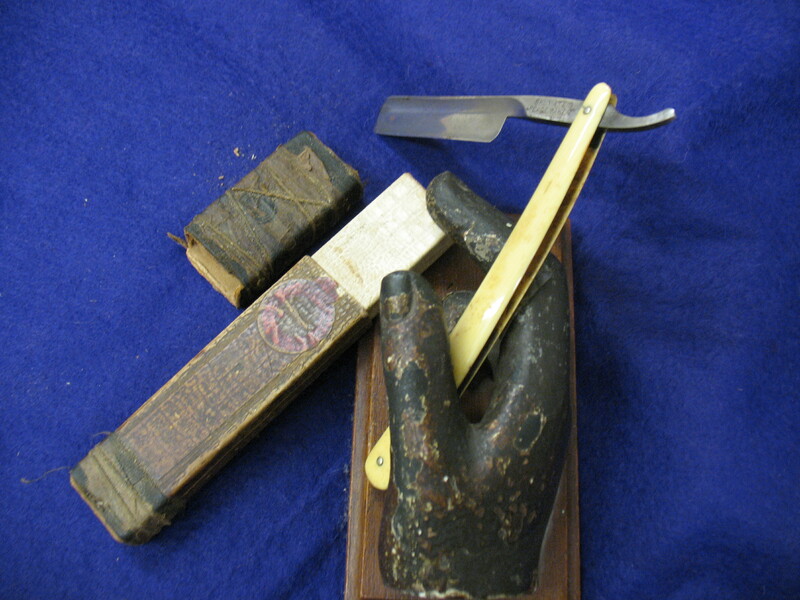 It required a straight razor, tools for honing and stropping, and a knowledge of how to keep a blade sharp enough to get a good shave. It would also take practice to get good at it and keep the nicks and cuts to a minimum. A man could go to a barber for a professional shave, but most of the time he probably had to fend for himself. On a winter day in a dorm room this could mean freezing water and stiff fingers wielding an unforgiving blade. No doubt the men waiting for Professor Tyler agreed that it would be nice not to have to shave at all. And so the Philopogonia Society – the Society of Beard-Lovers — was born that day. 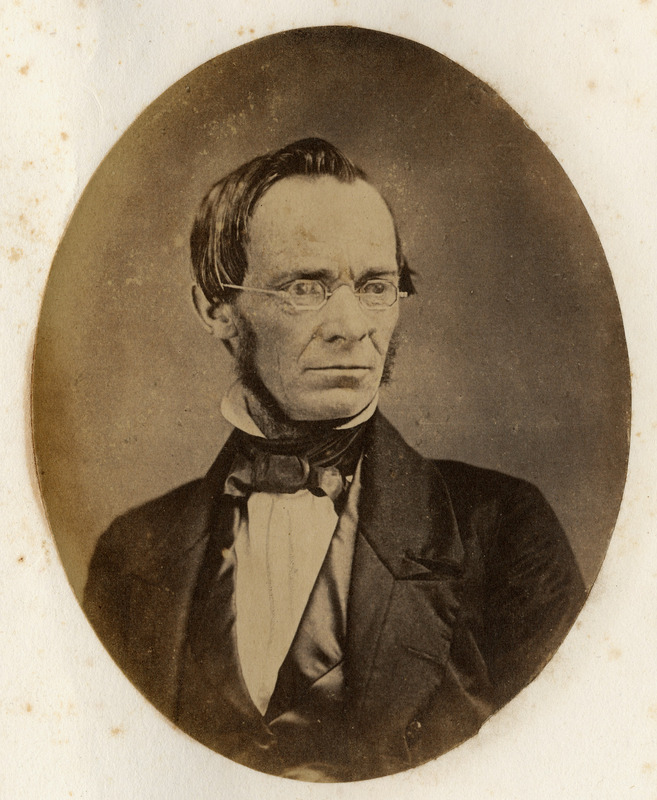 Professor William S. Tyler sporting a…what is this look? Please do not emulate him. Tyler’s absence from class one fall day led to the glorious founding of the Philopogonia Society. The proclamation of the Philopogonia Society. 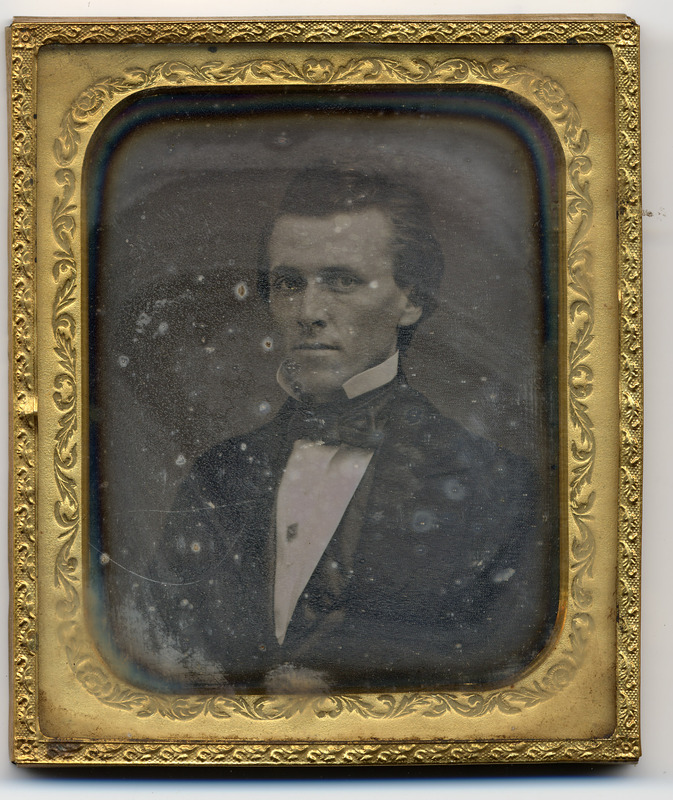 The handwritten “1853” must be an error, perhaps carried over from the “3” in “October 3rd.” The records say that the Class of 1852 issued the proclamation in its junior year, which would be 1850-51. Seven men put their names to the document. The Committee of Vigilance of the Philopogonia Society, photographed in 1852. From the top, left to right: Don Carlos Taft, Henry Sabin, Daniel Bliss, Henry D. Root, Charles H. Payson, William E. Glenn, and William H. Adams. Please to note the founder, Daniel Bliss, of the American University of Beirut (formerly the Syrian Protestant College) in the center. FOD (Friend of Dickinson) Henry Root is below him to the left. 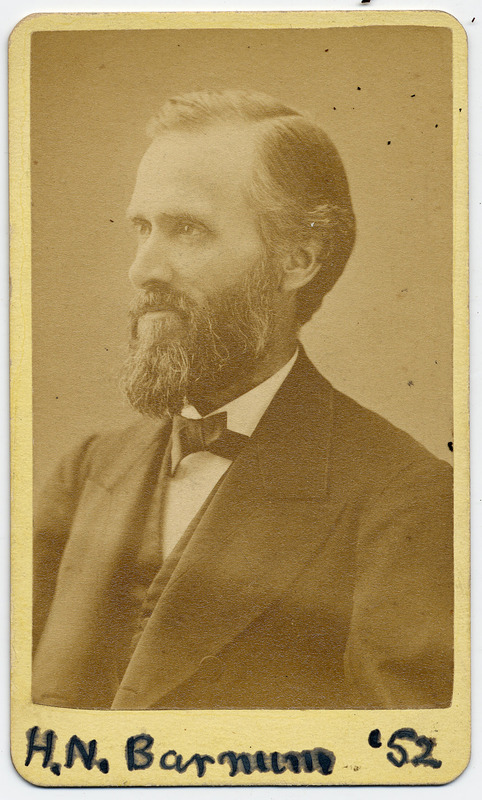 Herman Barnum, ca. 1870. Membership in the Philopogonia Society had lasting consequences. The Archives is still looking for documentation of that supper, but we know that eight or nine months earlier, in January of 1850, Sweetser’s Hall had also been the site of a raucous meeting called to discuss the rum establishments in town and decide whether the town ought to close them down. By comparison, the meeting at the close of the year to celebrate the success of the Philopogonia Society must have seemed like tame stuff. As the year is still “new” and resolutions still able to be formed, perhaps it is time for a new generation of Philopogonians. Anyone? I believe the look Professor Tyler is going for is the chinstrap beard. And yes, totally agreed that the Philopogonians need to make a comeback. I suspect the Zu has a head start on that one.